Get Inspired. Get Connected. George Brown College has launched a series of 4 events featuring George Brown alumni detailing their career journey & lessons learned. This will be the 2nd event in a series of 4 which will be featuring Jennifer Cohen. Jennifer is a George Brown Alumna, celebrity trainer and fitness entrepreneur. She has had televised appearances as seen on NBC's Today Show, Good Morning America, Dr. Oz, and Extra! Jennifer is also a contributor to forbes.com & health.com. If you are a George Brown graduate or just looking to build your personal brand, or make a career out of what you love to do, this event will surely invigorate & inspire you to reach your career or personal goals. It's going to be a great evening to learn from Jennifer Cohen & also great to establish a network with fellow George Brown Alumni. In today's changing workplace & careers this is an important event to stay current & updated. What: Fireside Chat & networking before & after event. 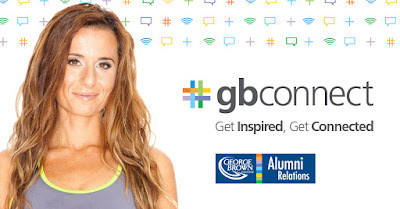 Thanks to George Brown Alumni Relations & Manulife Financial I will give away a Fitbit Charge Fitness Tracker(Value: $169.99) to one lucky person! It's free to enter. Prize has been provided by Manulife Financial. 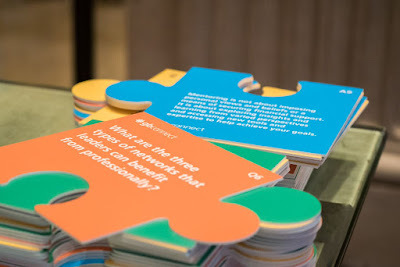 Just tweet the following to share the #GBConnect event. Disclosure: This post is in partnership with George Brown Alumni & Manulife Financial. All opinions expressed are my own. Fitbit is an activity tracker that is designed to help you track your physical activity, record your eating habits, track your sleep; igniting that need to become a healthier person. I have been a Fitbit enthusiast with the original Fitbit Charge since December 2015. I originally received it as a gift from my family for Christmas and it has definitely pushed my fitness or lack of to a different level. I'm am proud to say that Fitbit has definitely changed my outlook on health & enabled me to live a more active lifestyle & I'm a big fan of it! If you're new to Fitbit, they have recently released two NEW Fitbit trackers - Fitbit Charge 2 & Fitbit Flex 2. 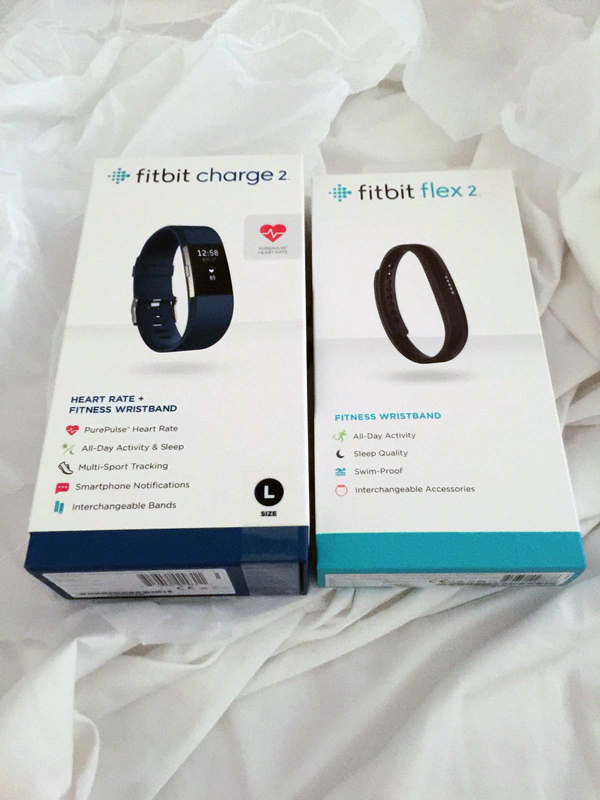 New Fitbit Charge 2 & Fitbit Flex 2. The NEW Fitbit Charge 2 & Fitbit Flex 2 offers additional options to optimize one's performance. I recently had the opportunity to see these products firsthand and love the new added functionality & features. Swim-Proof Fitbit Flex 2 - Track your swimming. Removable tracker that fits in bands, bangles and pendants. 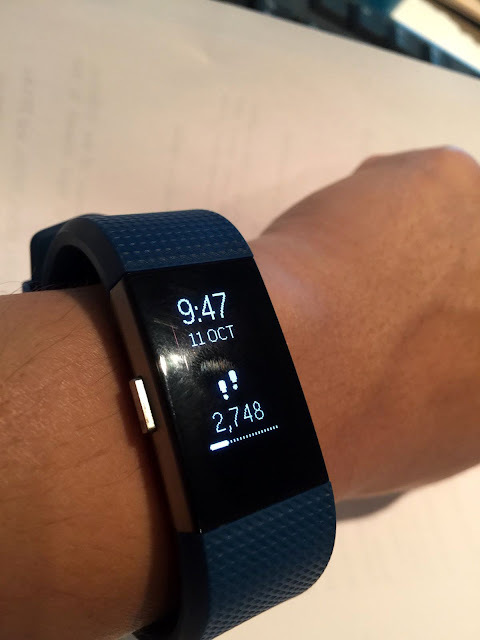 The main edge that Fitbit has compared to other wearable trackers is the option of different goal challenges. You can connect with your friends & family through the Fitbit app and have different step challenges. You can create week long, weekend long or just a one day step challenge with your friends and family. It inspires competition and a great way to encourage and get the family active, alongside. There will be days were you just feel lazy to do anything but when you see the challenges or the leaderboard, it motivates you to get active and get in those steps whether it be taking the stairs or parking the car a little further. My family and friends are competitive so it's always fun! Even if you're not into the challenges it's fun to hit your daily step goal and mind changing when you see the lack of steps taken in one's 'busy' day. It's a great reminder to take a break once in awhile and get moving! If you ask any current Fitbit user about the 'fireworks' display and buzzing you get when you reach your goals, they'll tell you it's quite an awesome feeling. An accomplishment if you may. 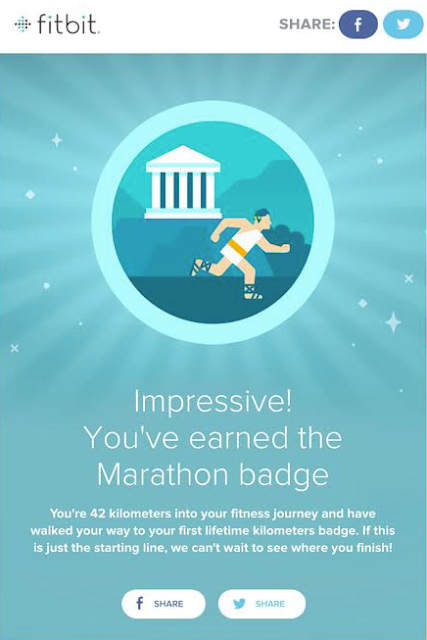 You will also earn badges that are great reminders of goals or successes you have achieved using the fitbit. It's a great motivator to get you up and about. For example, I will purposely park my car farther away from a shopping mall entrance just to get extra step counts for my daily step totals... The online community on fitbit.com is also another amazing resource to help fuel your active lifestyle which include many resources and tips. I highly recommend purchasing one of the Fitbit trackers to get you moving in the right direction. Your mind, body, and soul will thank me later! Stay tune for my next blog post of the Fitbit Aria Wi-Fi Smart Scale. I'm excited to give you feedback soon! Disclosure: This post is in partnership with Fitbit. All opinions expressed are my own. 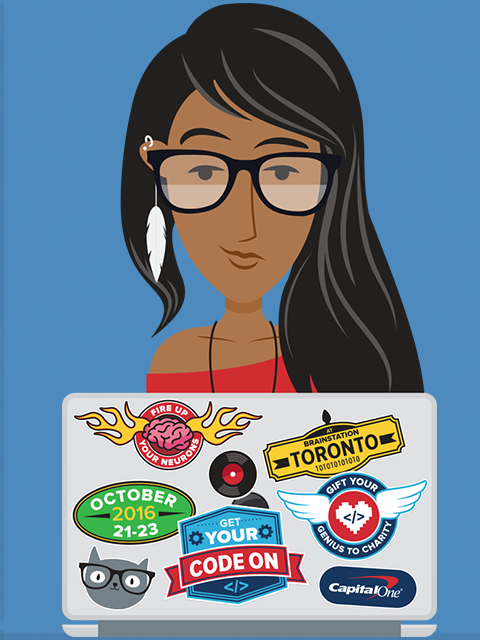 Capital One Canada is kicking of a Hackathon on Friday, October 21, 2016 until Sunday, October 23rd, 2016. Join fellow coders, developers & designers as they problem solve & create solutions for six Toronto-based charities. This is a great opportunity to make a difference in a fun way! Participants will be put into teams of four to six people(or can sign up as a team) & challenged to create a technology solution for one of the charities involved. So come on out & make a difference. It's going to be hosted by Marc Saltzman at Brainstation in downtown Toronto. This is going to be a great opportunity to meet the developer community & partners of the hackathon. Charities being supported are Blake Boultbee, Holland Bloorview Kids Rehabilitation Hospital, Prosper Canada, Second Harvest, Toronto Pflag and Women's Habitat. WHY: Support accessibility for technology & innovation for the six charities! WHAT: Hackathon - developers, designers & anyone with ideas come together to solve a problem through technology. WHO: Capital One Canada with support from Hackworks & Brainstation. So come out & support a great & unique hackathon experience while helping 6 charities make a difference & make an impact in your community! See you there.